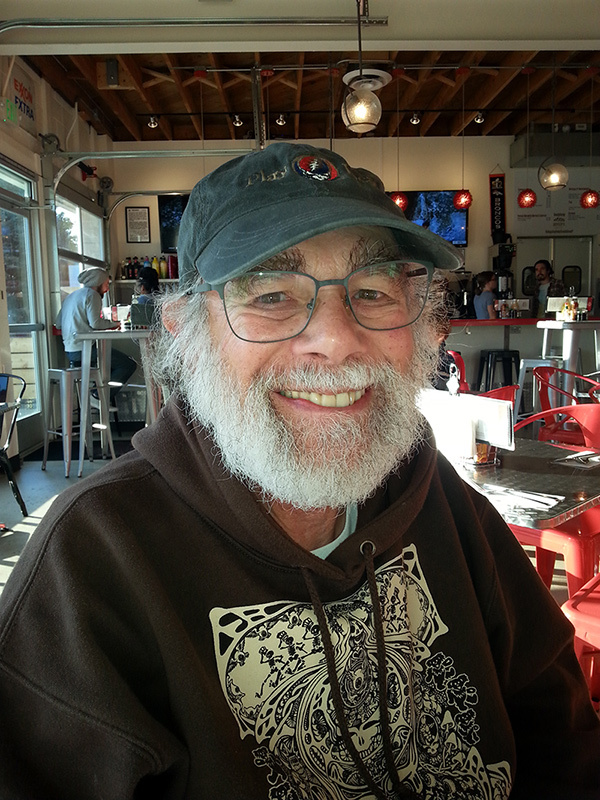 Robert Cooperman is the author of many collections of poetry, most recently, City Hat Frame Factory. In the Colorado Gold Fever Mountains won the Colorado Book Award for Poetry. giant mobiles floating above babies’ cribs. the pieces don’t move in the wind. as D’Artagnan’s or Zorro’s sabers. in knapsacks in front of her. her cigarette ash growing longer. and hands him a bill; he blesses her. as the Rockies west of Denver. apparently, bank robbers’ preferred attire. with the drugs he shot, snorted, or smoked. paid attention, so the manager gave up. or flirting with me, their safe uncle. to doing this to get by. with the speed of a husky with a bowlful of Purina. the guy staring as if Adam’s last glimpse of Eden. into my French toast, and swish it through syrup. than the hands of great tennis players. as Swiss chocolate to rock climbers. had had enough for one day. for the sake of his health, invisible. to think what they’ll do to him. the diminutive genius will make their lives hell. the world belongs to him; and it does. know this yet—it’s his turn. attack a raptor in a tree or in flight. or mates taken, bones clattering down. a smattering of Russian, Hebrew, Arabic. little mousetraps in this all-American city. and assumes all of them are illegal aliens. know to walk inside, eager to sign up. I’m five miles over the speed limit. or he’d have passed me blocks ago. and, I hope, asphyxiate behind the wheel. arms stringy as deflated birthday balloons. him down, and he’ll stroke out on the asphalt. and so very, very little time.